Some off-roading areas are well known and others are undiscovered by all but the locals. Among 3.5 million miles of off-road trails in America, there are plenty of outdoor playgrounds for OHV enthusiasts. With awesome trails and spectacular scenery, here are six of the best. 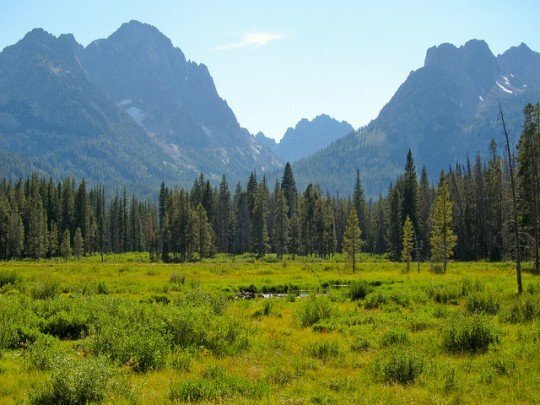 About 11 miles from Featherville, Idaho, the Baumgartner Trails area in the Sawtooth National Forest in Idaho is situated along the South Fork Boise River and offers hundreds of miles of ATV and single-track motorcycle trails with amazing views, good camping, and epic riding. Experienced and advanced riders are challenged by technical single-track trails that frequently have a narrow 48″ wide limit, steep drop-offs, rocky sections, and switchbacks. ATV trails here are moderate enough to be handled by riders with average skill. You can explore for miles in this area without ever covering the same ground. 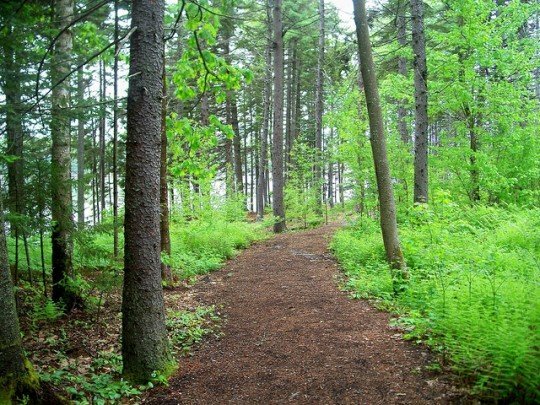 There are over 1,000 miles of trails to explore on northern Maine’s Moro Plantation trail system, all with great diversity of scenery and varied technical difficulty. In an area abundant with wildlife and beautiful wilderness scenery, riders can get their kicks trying wooded trails, conquering mud bogs, and opening up for speed on dirt roads. Near Baxter State Park and Mt. Katahdin you’ll have easy access to the Arastook County’s ATV trails and to the Maine Interconnected Trail System, with comfortable and affordable lodging conveniently nearby. 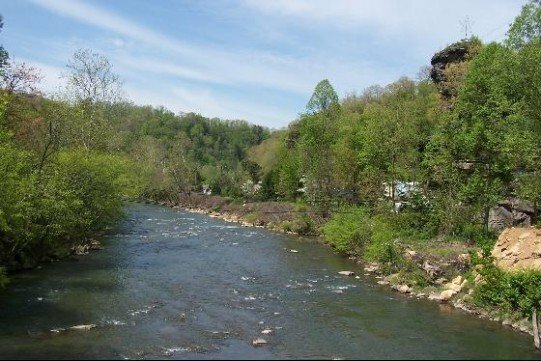 Weaving its way through the southwest corner of West Virginia in the Appalachian Mountains the Hattfield-McCoy Trail System is 700 miles – and still expanding – of rider bliss that covers seven counties. Breathtaking scenery is a given here, along with trails for every skill level and guided tours for novices. The system is host to an annual party near Gilbert, WV that attracts thousands of ATV, UTV and dirt bike riders who come to test their skills and see demos from powersport vendors who show off their products and machines during the five-day event. 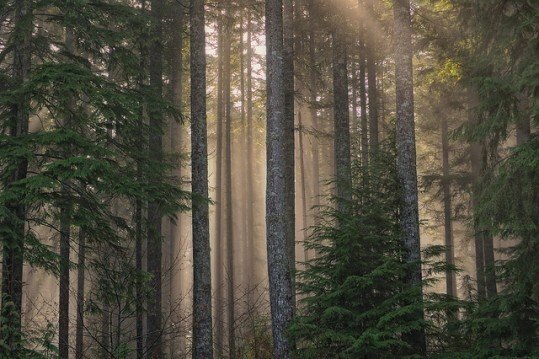 Thurston and Grays Harbor counties are home to Capitol State Forest, just 5 miles outside of Olympia, WA. There’s beautiful scenery in every direction along the 80 miles of trails for OHV vehicles in the northern section of the forest. These trails are well maintained and mostly hard-pack dirt with the occasional area of mud or rock. Be aware when riding here that weather conditions can change quickly, impacting trail conditions too. The forest canopy normally keeps the climate fairly cool and comfortable for riders. Check out the gorgeous trails in Waddell Basin or the Rock Candy area. The largest dune riding area in the US, the Imperial Sand Dunes in California, is also the most popular. 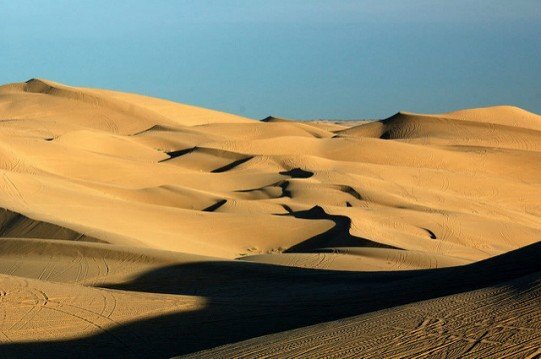 Glamis is an off-road paradise for every kind of OHV that stretches over 40 miles and provides all levels of difficulty to challenge dune riders. There are three open areas for OHV riding. Sand racing draws weekend crowds to watch the action on Oldsmobile Hill, and there are multiple campsites available along the edge of the dunes. The best time to ride is spring, fall and winter, since scorching summertime heat can elevate the desert temperatures to well above 100 degrees. 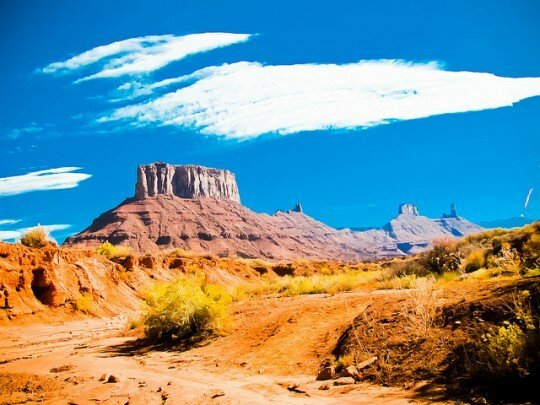 Expansive riding opportunities and a nearby town well-equipped for off road tourists make Moab a must-try destination. Hundreds of miles of trails wind through red rock canyons and national parks, offering great views and plenty of challenge no matter what your riding skill level is. The options for off road fun seem limitless here, and Moab is home to multiple 4×4 events throughout the year, including the Rally on the Rocks UTV/SXS. You can even rent a 4×4 nearby if you prefer not to trailer in your own ride. 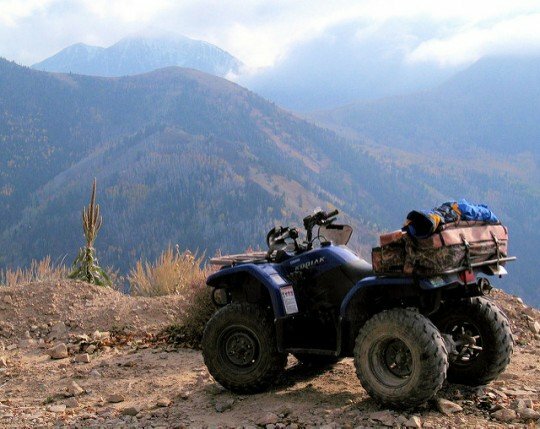 Every type of OHV is welcome here, but some of the more difficult trails will require 4×4 capabilities to master the terrain.